So, you’re traveling. Whether you’re going overseas, taking a train ride or commuting to work, you have a few promotional opportunities at your disposal. Today’s remote workers aren’t constantly remote, and effective marketing doesn’t sleep. If you want to promote your business while traveling, you’ll need to cater to other travelers. Check out the five promotion life hacks below, and keep your business represented regardless of location. 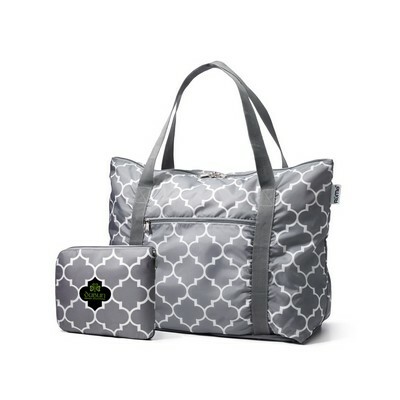 Carrying bags like the Rume cFold Foldable Bag can be stored in your luggage, beneath bus seats and in airplane carry-on compartments. Having a compact travel duffel, alone, is worthwhile. Having one with your brand’s logo on it—even more so. By promoting your business in a fast-paced, adaptable light is important, and you needn’t stick to a webcam to do so. You’d be surprised how effective a little visibility can be. Blog your trips, and share your travel stories with others. While you’re doing this, don’t back away from showing off your branded glasses, your sports umbrella or your various technology. Anything visible can be blogged about—assuming you’re prioritizing visual media. Today’s remote workers are a professional bunch. 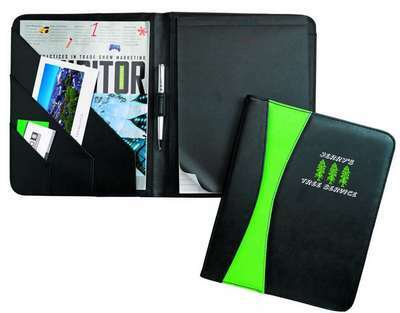 As you’re traveling, bring your brand’s important documents in presentation folders and portfolios. These can both carry your imprinted brand image, presenting the perfect blend between professional and accessible. Don’t shy away from representing your brand via sporting bottles, either. If you’re expecting to walk a lot, show off your company’s energetic side by packing a branded fitness bottle. Choose a bright color, and keep it with you at the gym, on runs or even during bike rides. The ripple effect of energized brand presentation is phenomenal. Don’t be afraid to experiment with different thermos sizes, either, as adaptability is a key component of marketing. You’ll need to settle down, eventually. Why stay indoors? If you’re traveling to a trade show, a park-based convention or a slew of other outdoor areas, get creative with the roof over your head. Let your visitors see what your company represents. The best promotional tents have half-sizes and full backs, to empower open-air environments. Have fun, and be creative with your company’s presented colors and logo. To stick out in the crowd, you’ll need superior presentation. A lot of branding options are affordable—and all of them are customizable. Promotion doesn’t end once formal events are completed. Today’s thought leaders are constantly promoting, making their brand fully alive. Check out Promotion Pros today, and empower your business.